How can I add dirt / worn off effect to my objects? To create "dirt" or "worn off" effect on the edges of an object, use CoronaAO map. 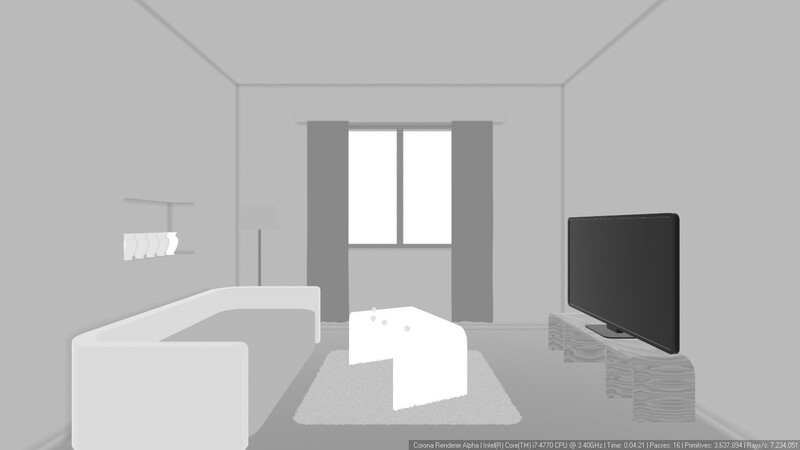 You can also use it with "Invert" option to calculate ambient occlusion from the other side of the object's normals. 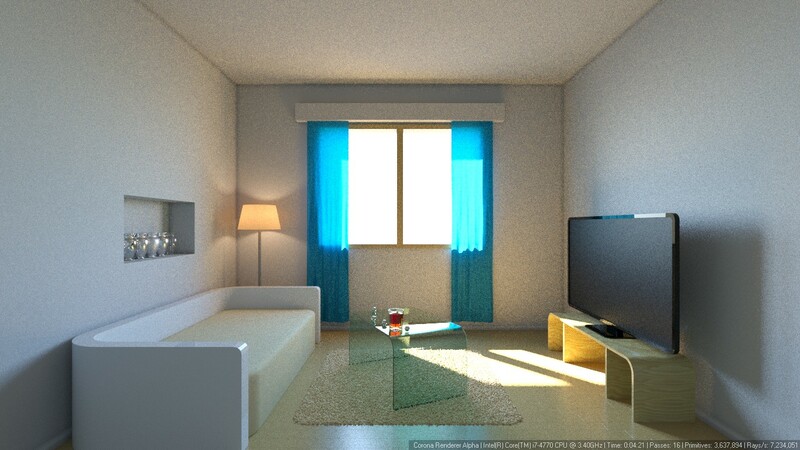 For realistic scenes, do not use CoronaAO map to emphasize shading. Shadows in the corners of rooms or concave parts of geometry will be correctly handled by the rendering engine without any additional tweaks. Ambient Occlusion added to the material used for walls. Additional darkness makes the rendering look artificial and non-realistic. It is unnecessary unless the corners of the room are dirty. Note: you can also use "Rounded corners" effect to simulate chamfered edges of objects - see: How to use rounded corners?